Yup, it’s true: Once a year, on my birthday, I used to light up a cigarette. It’s a tradition I’d been upholding since the day I turned 18, when some friends at university took me to a bar and bought me my first (legal) beer. Today I got my answer, courtesy of Women’s Health magazine. The average cigarette is gone in 10 puffs and five minutes, but that’s five minutes of havoc as 4,000 chemicals infiltrate your organs. As you take the first drag, smoke passes through your mouth, leaving a faint brown film on your pearly whites. Toxic gases such as formaldehyde and ammonia immediately put your immune system on alert, causing allover inflammation. Your body gets a jolt of energy as that nicotine hits your adrenal glands, triggering an outpouring of adrenaline that raises your blood pressure and heart rate. Your heart is unable to relax fully between beats—and you are now at a higher risk of having a stroke. At the same time, carbon monoxide … is starting to build up in your blood, limiting your body’s ability to transport oxygen to your vital organs. Via the bloodstream, nicotine hits your brain, where certain nerve cells respond by letting loose a torrent of the feel-good neurotransmitter dopamine. As dopamine levels quickly plummet back to normal, your body yearns for another high—even if you’re not aware of it. If you frequently give in to the craving, your brain will get hooked and you’ll crash into withdrawal when you try to stop smoking (some experts posit that nicotine could be just as addictive as heroin). The cigarette smoke is gone, but your body will be mopping up toxic substances for the next six to eight hours. The cigarette’s parting gift: gooey brown tar in your lungs. 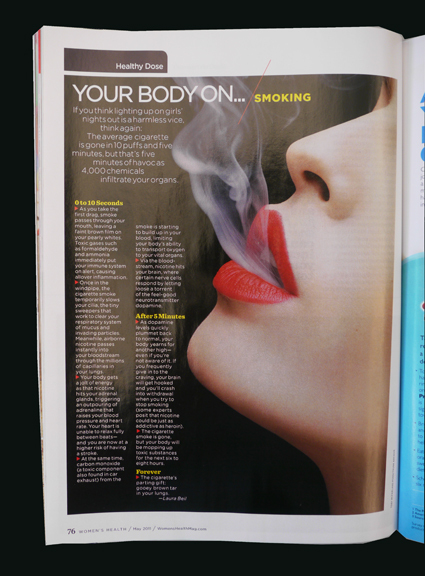 Thanks to the folks at Women’s Health for the best argument against smoking I’ve ever seen. Although it’s still a few months off, I’ve already decided to start a new tradition: not smoking on my birthday. 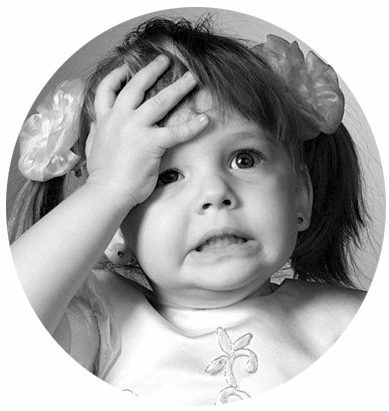 Next Is time-management right for you? The thing is.. when I start back up, I don’t even enjoy it.. ugh. It tastes gross and it makes me feel weird, almost like there is some new drug in them.. I dunno.